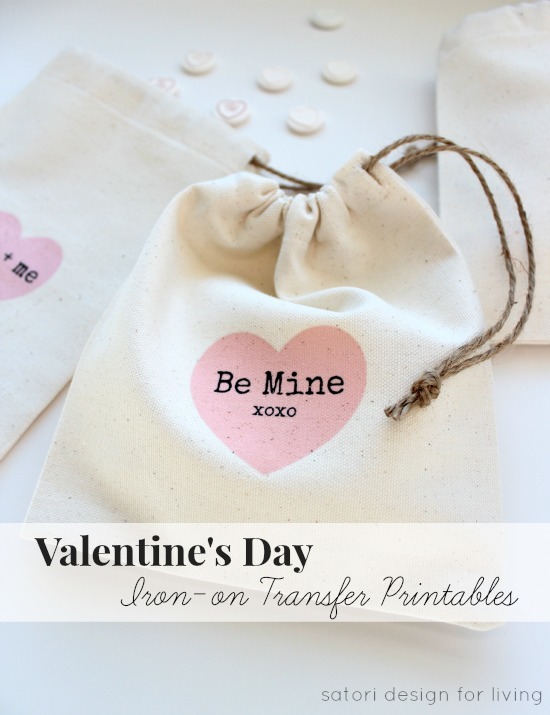 Looking for Valentine’s Day printable cards that are worth the paper and ink? I’ve rounded up some of my favourites. By the time Valentine’s Day rolls around, I’m pretty much gifted out. It’s true, I’m done. You see, in my mind, Christmas was a short time ago, and we both just celebrated our birthdays in January. So, every year, I tell my husband not to buy me anything for Valentine’s Day. Don’t get me wrong, those Tiffany blue boxes are splendid, but surprise me when I’m in a gift-receiving slump. Not now, when I’m in “put it over there with the others” mode. I’m exaggerating, but you’ve probably been there at one time or another. Sometimes a card is all I want, truthfully. That, and uninterrupted time together where cell phones, laptops and TV’s are shut off. And don’t even bother taking a trip to the store because there are so many printable cards that will get the job done. Adorable and creative ones, trust me! After twenty plus years together, these funny Valentine’s Day cards by Landeelu are perfect. Not sure which one I’ll pick out to print! 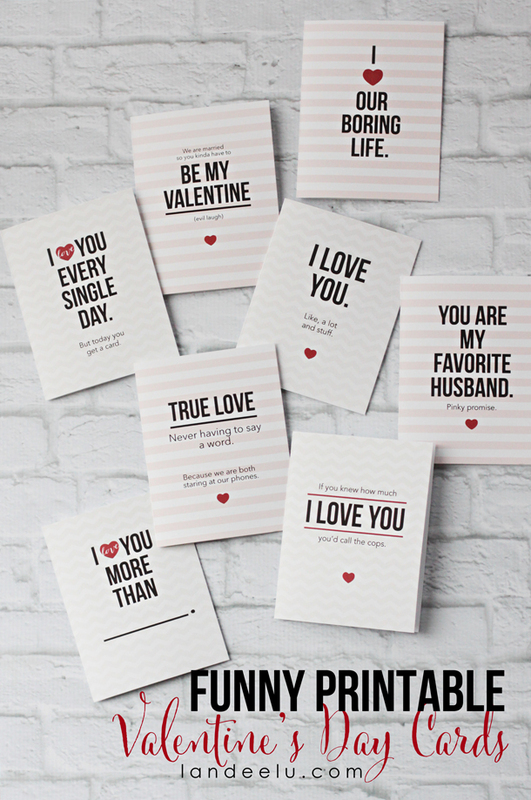 How fun are these Madlib Valentine’s Day Cards by Made Vibrant! Takes me back to my teaching days when the students enjoyed madlibs so much. Add a fun fact with this Days I’ve Loved You printable card by Every Day Cheer. It’s close to 8000 for me. Wait, am I supposed to subtract challenging ones? Not sure just a card will do it? 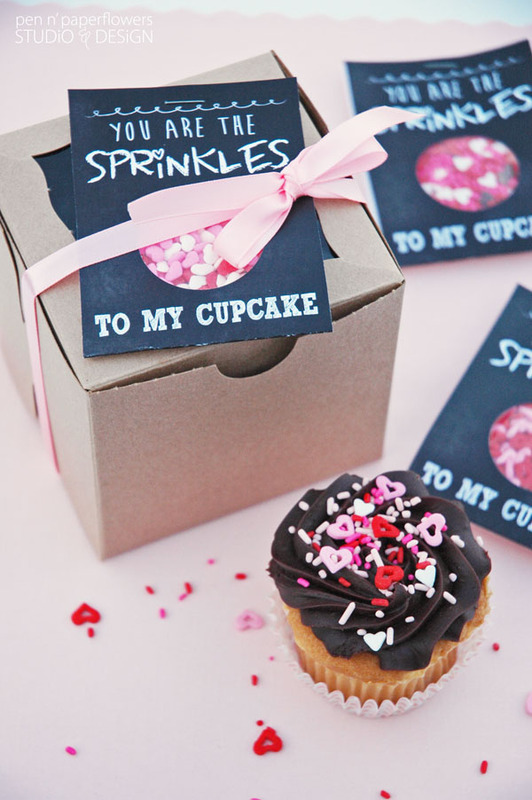 Pick up a cupcake from your favourite bakery and top it with this You are the Sprinkles to my Cupcake printable by Pen n’ Paperflowers. 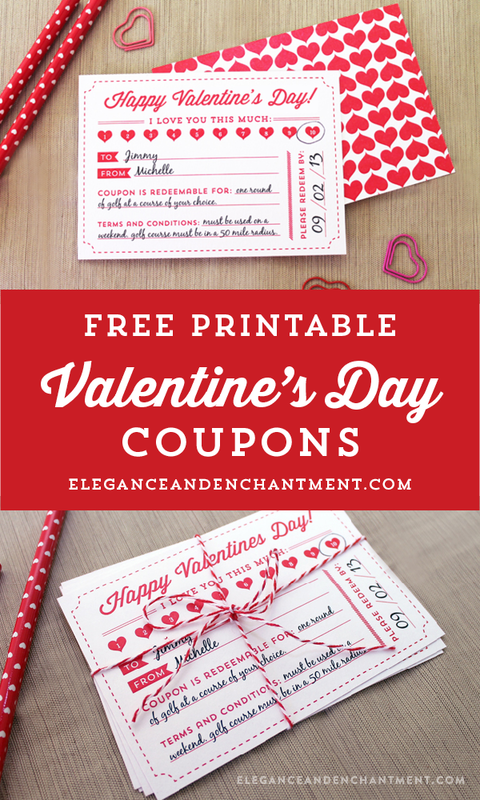 And another great idea from Elegance and Enchantment is filling out these Valentine’s Day Printable Coupons. Love the “terms and conditions” section! And if you’re convinced you need to give your loved-one a little something, fill this DIY Valentine’s Day Treat Bag with some of his/her favourite things!